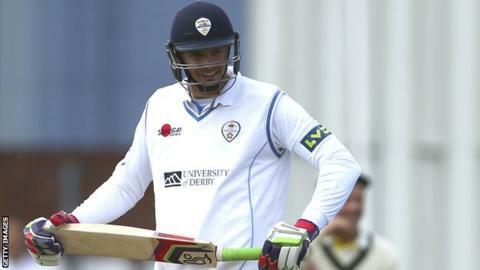 Derbyshire have released all-rounder Jonathan Clare. He made 57 first-class appearances, taking 154 wickets with career-best figures of 7-74 and scoring 1,725 runs, including two centuries. Clare said: "It's been a pleasure to represent the club but it is now time for a new challenge and I'm looking forward to continuing my career." Elite performance director Graeme Welch said: "Jonathan has worked extremely hard over the last two years to overcome a back injury. "He has shown a real determination, but with the number of young players coming through, it was the right time for him to look for regular first-team action elsewhere. We wish him all the best."